I just came across the Sunday Stills challenge and thought I’d make my first contributions. 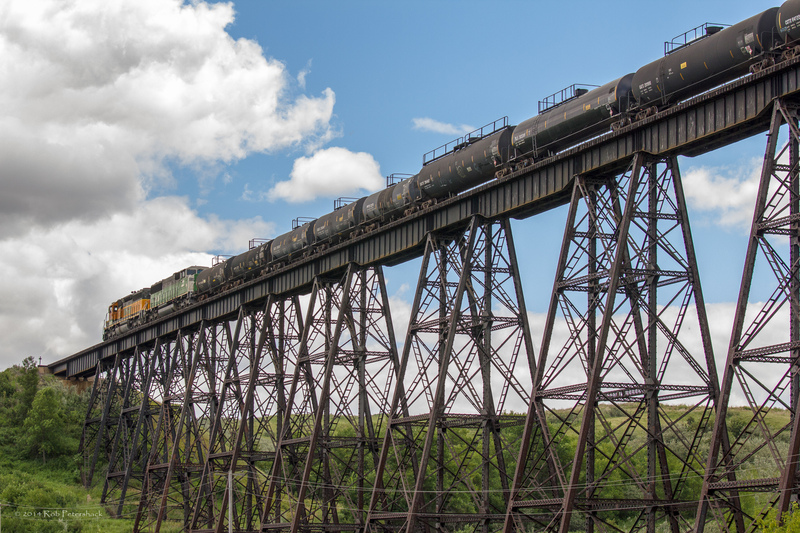 This is an older trestle bridge that I call “Span 27” based on what was scrawled on a rusty leg of the bridge in what looked like chalk. The Span 27 Bridge is a few miles outside Minot, North Dakota and extends over a gully through which an old highway (Hwy 12) now runs. I had no idea it existed. I was just out with my camera looking around. Honestly I wouldn’t have thought it was in much use given how rusted it was underneath, but during the three or so hours I was there two trains passed overhead. 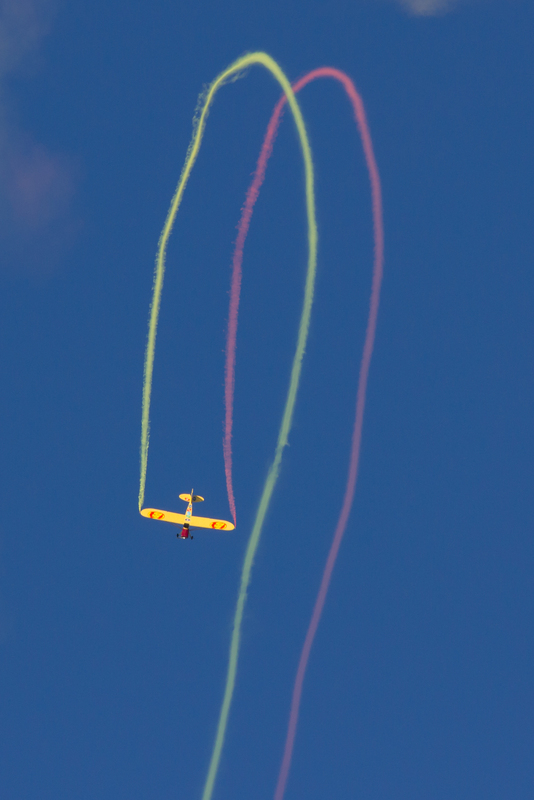 I think it is fair to call this loop (performed by an aerobatic (or stunt) pilot at an air show in Minot, North Dakota) a circle, but as always comments are appreciated. This is a photo of Tops In Blue during one of their as usual packed performances in Minot, North Dakota. Tops In Blue is a touring ensemble made up of active duty members of the United States Air Force. All of the members take one year off from their regular duty job to volunteer to tour with the company. This cast had a pretty interesting group of performers with “regular duties.” One was a Dental Assistant while another was a “Cryptologic Language Operator.” A couple were “Cyber Systems Operations” personnel. They ranged from a Captain and a several Lieutenants to various flavors of Sergeants and Airmen. It was a fun show although I think some older members of the audience were a bit taken aback by the tribute to Michael Jackson. This is a little piece of Americana (or actually probably a lot bigger piece of Americana than I realize) that I don’t get to see much in Madison, Wisconsin. Fortunately I married a woman from Minot who has given me the opportunity to experience quite a few things I would never otherwise have seen. Another Word A Week Photo Challenge experience.